Say. 1834. 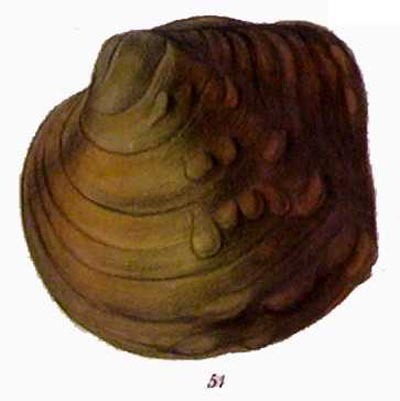 American Conchology, or Descriptions of the Shells of North America 6: pls. 51-60. Conrad, 1836, Monogr. Fam. Unionidae: 26, pl. 11, fig. 2. Say, 1831, Transylvania J. Med. Assoc. Sci. : 527. Say, 1834, Amer. Conch. : pl. 51. Conrad, 1837, Monogr. Fam. Unionidae: 80, pl. 45, fig. 1. Reeve, 1864, Conch. Icon. : pl. 13, sp. 51. Say, 1834, Amer. Conch. : [unpaginated]. Hildreth, 1828, Amer. J. Sci. : 283. Say, 1834, Amer. Conch. : pl. 22. Say, 1834, Amer. Conch. : ?? [nomen nudum]. Conrad, 1837, Monogr. Fam. Unionidae: 67, pl. 37, fig. 2. Say, 1834, Amer. Conch. : pl. 53. Conrad, 1840, Monogr. Fam. Unionidae: 112, pl. 62. Conrad, 1836, Monogr. Fam. Unionidae: 52, pl. 28.